In the minds of Christians who appreciate art music, whether as performers or simply as listeners, perhaps no figure so fully epitomizes what it means to be a “Christian composer” or a “Christian musician” as does Johann Sebastian Bach (1685-1750). While Lutherans can most legitimately claim Bach as their own—the composer was a part of that tradition both as a result of his location as well as by personal conviction—Protestant musicians of all stripes look to him as an model, both for the quality of his output as well as the theological conviction with which that output is imbued. The rigorous Lutheran orthodoxy expressed in his sacred compositions has led him to be dubbed the “Fifth Evangelist,” and over the years a picture of Bach as a man of extraordinary piety has developed in the minds of some. A want of reliable firsthand biographical information about the composer has not helped matters, with competing biographies appearing periodically, some commending Bach’s piety, others viewing him anachronistically through an Enlightenment lens. Enter John Eliot Gardiner, one of the most widely acclaimed conductors of Baroque music and a recognized authority on Bach’s choral music in particular. The author’s expertise in Bach’s choral works is evident, with special attention given in Bach: Music in the Castle of Heaven to the composer’s cantatas, Passion settings, Christmas Oratorio, and B minor Mass. 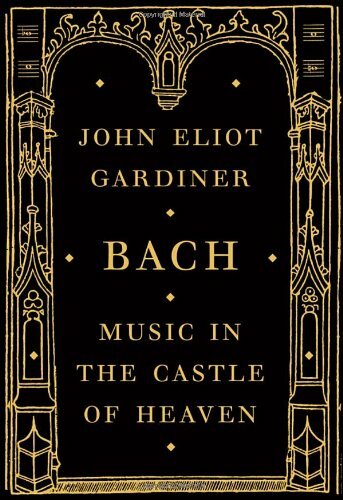 While Gardiner’s insights into these works are fascinating, one wishes that greater attention had been given to Bach’s keyboard works; Bach was one of the greatest organists of his day, and his music for organ and for other keyboard instruments is of tremendous significance. Gardiner clearly has no desire to present himself as an orthodox Christian of any stripe, and in instances such as these demonstrates a slight desire to blunt the “creedal orthodoxy” of Bach’s work, or at least to give it a broader application. Nevertheless, Gardiner never questions the genuineness or orthodoxy of the composer’s faith, and even admits that this faith was central to Bach’s character, and to his view of the world. His attempts to find more “ecumenical” applications of Bach’s work notwithstanding, Gardiner never shies away from the fact that Bach was indeed a believing Christian, and more specifically, a committed Lutheran. In that respect, even those with little regard for art music or who understand Scripture to prohibit the kind of concerted church music Bach so ably composed can find in this man something worthy of emulation. This entry was posted in Doctrine of Vocation, Johann Sebastian Bach, Music, Music and Theology, Practical Christianity, Reading and Study, Theology. Bookmark the permalink.